Telstra is hoping to "monetise" between $5-5.5 billion worth of future income from recurring nbn payments in a bid to free up the potential capital sooner rather than later. The move comes off the back of the telco’s capital allocation strategy review it commenced in November last year, which included a potential plan to monetise a portion of locked-in recurring NBN receipts, a new dividend policy and a revised capital management framework. During the company’s Investor Day late last year, Telstra said it would look at ways to “crystallise value” from recurring nbn receipts for key infrastructure. As part of the $11 billion deal Telstra inked in 2014 to hand over the telco’s existing copper and Hybrid Fibre-Coaxial networks to nbn, the company behind the rollout of the National Broadband Network (NBN), the telco was set to receive additional payments over time for long-term leases of associated infrastructure. According to Telstra, nbn’s one off payments over the next four to five years of the NBN rollout are expected to generate post tax free cash flow of approximately $5 billion. Additionally, long term payments, which relate to access to Telstra’s infrastructure and over the next four years during the roll out, will increase to almost $1 billion pre-tax per year by the end of the NBN migration period, increasing with inflation over time. Now, with its plan to "monetise" the recurring nbn receipts - a move which likely involves selling off the intrinsic value of the future payments before they are made and buying it back at a later date - Telstra hopes to effectively bring forward the capital that the payments are expected to bring in. 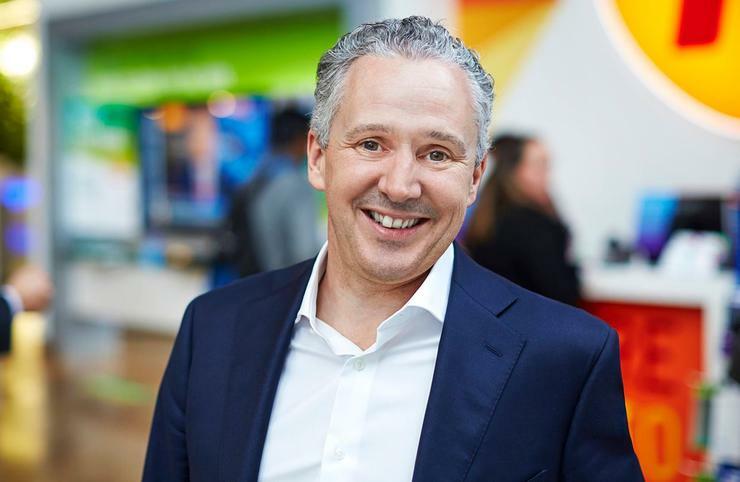 “If we were to proceed with these plans, it would involve approximately 40 per cent of the total receipts that are expected, representing the already locked-in receipts for fibre and exchanges,” Telstra CEO, Andrew Penn told shareholders. “The scale of the proposed transaction is approximately $5-5.5 billion, with Telstra to retain some equity interest. “Our intention would be to use the proceeds to reduce debt by around $1 billion, with the balance to support a capital management program to enhance shareholder returns, most likely through a series of on- and off-market buy-backs,” he said. However, Penn cautioned that the proposed transaction remains subject to agreement by the Government and nbn, and shareholder approvals, saying that Telstra could not confirm that plan would ultimately be achieved. The proposal comes as the company reveals its annual results for the year ending June, reporting annual earnings before interest, tax, depreciation and amortisation (EBITDA) of $10.7 billion, representing a two per cent rise on last year, off the back of $26 billion in total revenue.